Everyone once and a while you see something that really makes you think. 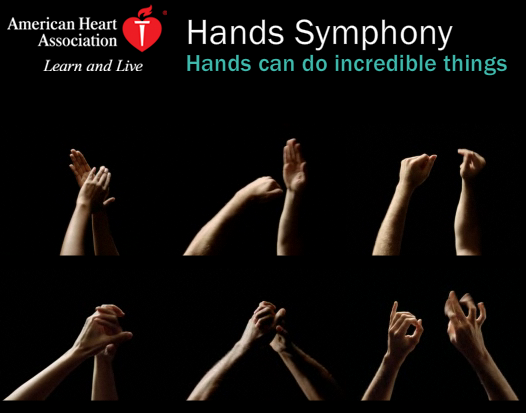 For me, that started today when I was starting to write a post on StumbleUpon and I came upon a great called the “Hands Symphony by the American Heart Association” which is all about encouraging people to become aware of CPR by doing something totally different – making music with your web browser. 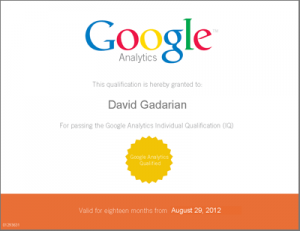 Ultimately I found that this campaign provided me with some great learning opportunities that I’d like to share. There are a few things that I think this campaign does exceptionally well – the first being the element of discovery. When I first arrived I was not exactly sure what I was supposed to do, but the learning curve was very easy – start clicking on hands and make some music! The reward was extremely gratifying as well. Notice how they also made it very fun to configure new “hand mixes” either by trying different hand combinations, or if you felt the need you could even experiment with some new musical genres. They were also very generous about focusing on a great user experience first, and using that good will to compel the user to actually experience the underlying message – I know I played the video (bottom right… hint hint….) If there is one take away that I would like to impart to you, this would be it. In addition they have some really nice sharing features built in that I’m sure had a nice impact on their overall efforts including the ability to share a recording with friends, as well as the ability to do some social sharing/bookmarking in order to create a further viral lift – given how nice this was put together as well as the underlying message it is hard to believe that people would not want to share this campaign – they get that and they really made the most of it – who doesn’t want to send out a tweet that could potentially save a life? If I were to make a few suggestions, the first would be to fix the social sharing buttons and grab a link feature – they are broken, so if you are reading this American Heart Association, I would get on that pronto! I would also have possibly considered optimizing this campaign a bit more for a small screen – on my laptop I would have preferred at least a portion of the lower messaging to have been visible on my screen. Again though, this was just a really nice discovery – AHA making it happen! Taking the bull by the horns and creating an extremely modern and forward thinking campaign, and then going the next step and making sure there are some very strong social components built in to help drive awareness. Take a look, and let me know if you think I’m crazy or was this campaign as good as I thought it was?